Oliver and Rachel will be greatly missed in Weobley but are going to Uganda where their care and experience will be hugely beneficial and very much appreciated. 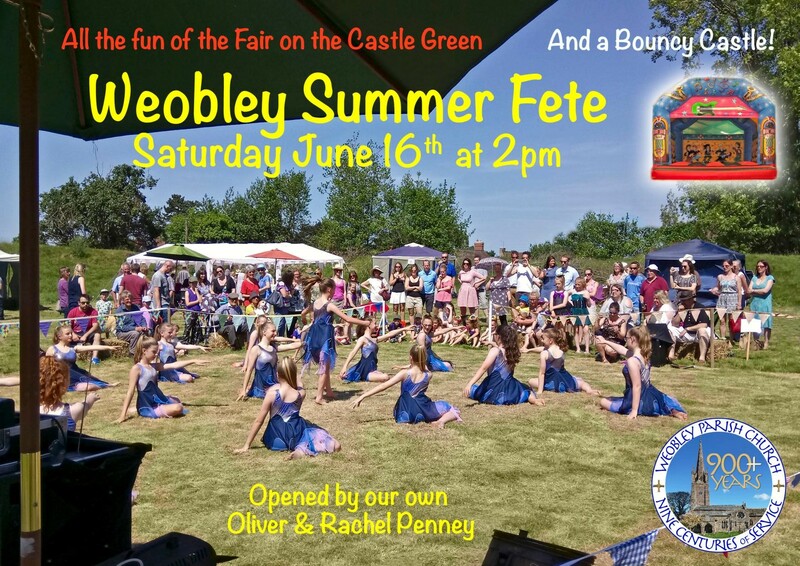 The fete, in aid of the Parish Church, will again be on the Castle Green with all the splendid attractions including the Aspire Dancers, the Lee Taylor Karate Display, Cream Teas, Games, Stalls, Classic Vehicles, Pony Rides as well as a Big Bouncy Castle! Come and enjoy the fun.